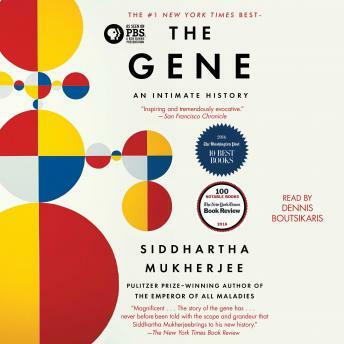 Listen to "The Gene: An Intimate History" on your iOS and Android device. Great book, it kept me interested and made me take notes and read up on different subjects. It's long, but the narration is wonderful. Wow I never thought this would be so comprehensive and knowledge inducing. I enjoyed listening to this book.. I tell the history of the gene in beautiful way.. I wish that I listened to this book when I started medical school it would've made it more interesting. Excellent book! Wonderful narration! Was helpful to have a medical background but this story could be enjoyed by any with the interest in genetics. It is a rare book that can expose an entire field of study without oversimplification yet accessible and read like a novel. My only complaint was my disappointment when the last word was spoken (I wanted it to go on and on). Since the end of the story has a way to go, I look forward to his next installment in about 10 years. Bravo!